Creating my everyday: Scrap Pink Crop Weekend! Whoo! We are well into day 1 of the Scrap Pink Crop weekend at Create My Keepsake! If you're looking for some fun challenges and some AWESOME prizes, please come join us here, if you haven't already. I just posted my layout challenge. The challenge was to create a layout about a skill, hobby or talent you have that not many people know about. I was inspired to do this layout after having a conversation with a newer friend who had no idea that I play(ed) guitar. It was such a big part of my life back in college, but since I don't really play now, my newer friends don't know this about me. So, I decided I needed to document this piece of me. Journaling reads (yikes, it's long! ): Anyone who knew me back in college knew how attached I was to my guitar. That thing meant the world to me. I got my guitar as a birthday present from my parents for my 20th birthday. I learned how to play from friends, teaching myself, and from taking a college guitar class. I even lugged my guitar with me halfway around the world when I studied in Australia because I didn’t want to be without it for so many months. If I close my eyes, I can clearly remember what it felt like to play back then. It was an indescribable feeling of truly getting lost in the moment. Nothing feels better then to lose yourself within music that is created by your own two hands. Fast forward a decade, and my poor guitar is locked up in its case, gathering dust. 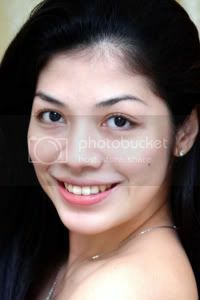 People who have more recently entered my life have no idea that I know how to play. My children have never heard me play, and my husband hasn’t heard me play in many many years. I miss it. Yet, something keeps me from picking it up, and I’m not quite sure what is stopping me. I think it’s time that I stop questioning it and just do it. I’m ready to reconnect with my beautiful long lost friend. 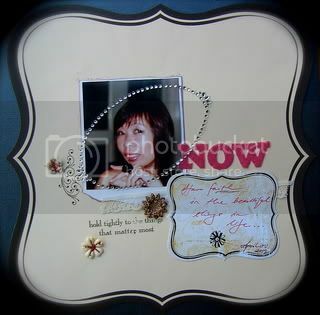 Photos from Spring 1996, layout September 2008. 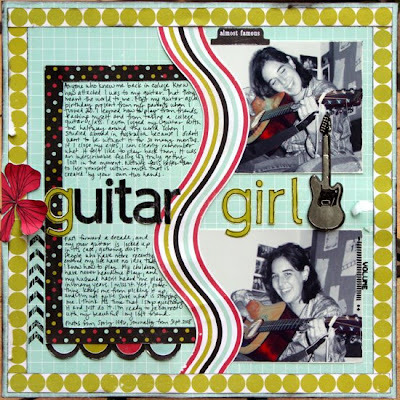 My Guitar Girl layout also happens to be one of my Luxe layouts this month using the new Sprinkles line, which is so bright and fun! I got to scrap last night, too. I made a layout about Chloe enjoying her first snow... she looks so little here! Hope you all are having a great weekend so far!! Love the layouts, Staci. I'm totally inspired to scrap now! Great challenge and great LO! I always wanted to be a 'guitar girl.' :) I have one and can kinda play 'When the Saints Go Marching In.' It's pathetic. :) Fabulous snow LO too! I loved your challenge - you really knocked their socks off!!! HEYYYY and you are fabulous. Thank you for what you said. Oh wowee!!!! That guitar layout totally rocks (excuse the pun). 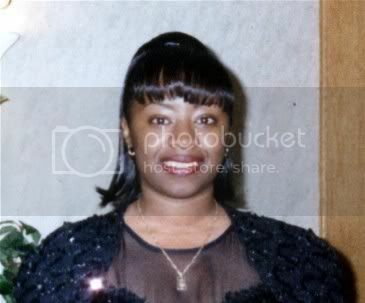 It's so great to look back at the "old" days to see what made us tick then. Staci, your pages are beautiful! My gosh, I love them! 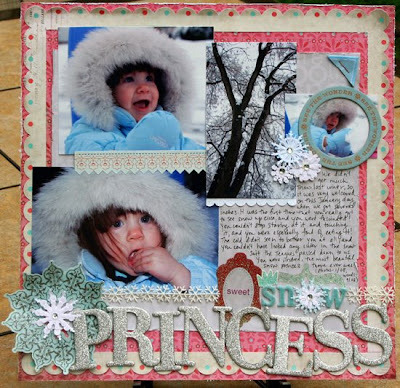 Love your cool challenge page with it's bold patterns and funky feel, and that snow page is a little piece of heaven! 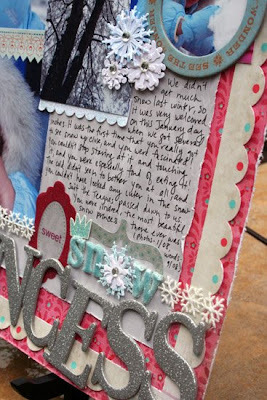 Aww, I LOVE the snow princess layout! Chloe is so cute in her big furry coat. You captured those pictures so perfectly! I also love the guitar layout. I've never done a LO about myself before, but I always love seeing other people's self-inspired layouts. What a great way to "share" yourself with others! Oh Staci, I love the layouts you created! Really fun new paper for the 1st one, I think you should record one of your songs you play on your guitar and add it to your blog!! I would love to hear it. I adore the second layout. so pretty, glittering and girly!!!! Great LOs Staci! You always inspire me! Oh my goodness Love these LO's.. Wow!!!! You did such an AWESOME job on these LO's!!!!!!! I love every inch of them and your true journaling on your Guitar LO!!!! you rock! TeHe! Get it--love the guitar layout--perfect in every way! Fun layouts Staci!! Love the swirl across the page! You really have style that is all your own and I love it. wow ! 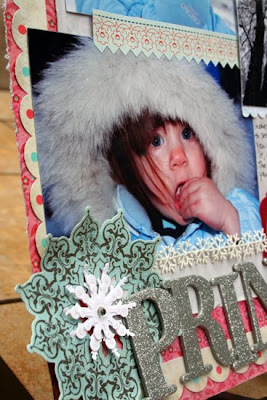 way to get all those photos in for your Snow Princess ! love the glitter !!!! & that guitar talent ! precious ! so inspiring ! I think I might be inspired to journal at some length for my Bad Girls' layout for wk 4 perhaps ! So stoked by it ! cant wait to create it ! i have some ideas floating ! hope it turns out as original as I'd want it !